Every self-respecting marketer knows that ideally, strategy comes before tactics. The confusion over this isn’t really about which comes first … the confusion stems from innocent ignorance, over what tactics and strategy really are. That, of course, is easily fixed with an explanation. Some folks rely on strategy, some on tactics. Those who rely on tactics are usually the ones who don’t know what strategy is and aren’t consistently successful. I could go on to list basic definitions, bring out the origins of the words in the context of military engagements so that you can burp and scratch and eventually agree because I hit the “dude nerve”, but yeah, I’m not that person. So I’ll give you a clearer example. 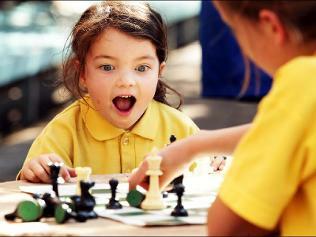 Chess is a game that the world accepts as one demonstrative of skill, talent and thought, essentially, strategy. To play it, though, all you really need to know is how the pieces move. To play it well and to be successful one has to always think ahead of the opponent, to predict the next move. Each piece has it’s role, defined by the moves it can make. For this example, the pieces are tactics. You can play the game knowing the tactics (how the pieces move) and depending on your opponent, you might win. That’s luck. You won’t necessarily know how you won or why you won, except that you captured the opponents King. You might win again, but you won’t know that until late in the game. A good player, a strategic player, knows by the second or third move if they’ve won the game. A good player gets into the head of the opponent, and based on the current set up of the board, can determine the possible moves and outcomes of the moves to make the best choice. That’s strategy. Strategic players know how many moves to check mate. Tactical players rely on luck and bad moves by the opponent. So even in chess, where the tactics could be seen as predefined, they do not define the strategy. The pieces don’t win or lose, the players do. The pieces, or the tactics, are not successful or unsuccessful, the strategy defines the outcome. I’ve seen and heard people say that the tactics define the strategy, and in some cases that’s true. It’s like making sure you have the right tool for the job. Of course then, if you have a specific job, you need the right tool, or in this case, tactic. But using chess as an example, if the specific job is to win once, you might get there. But it can’t be replicated with any degree of certainty. Strategy Should ALWAYS Come Before Tactics. We have to get back to accountability and responsibility. Tactics have to stand up to the thinking, they have to follow the strategy. Tactics without a strategy is putting the cart before the horse, buying a wedding dress before you’re even dating, or shoving the glass slipper on the ugly step-sister. ← Are you really connecting with your audience?